Mr Jimi Agbaje, the 2015 Lagos State gubernatorial candidate of the Peoples Democratic Party (PDP), on Wednesday ended speculations about his re-run bid, saying he was back in the race. Agbaje made the confirmation via a telephone interview with newsmen in Lagos. “It is true that initially I did not want to re-contest, but I had so many people urging me to run. “I bought and submitted my nomination form shortly before it closed. I will be part of the PDP Lagos governorship primaries, billed for Friday, Sept 28th, “ he said. 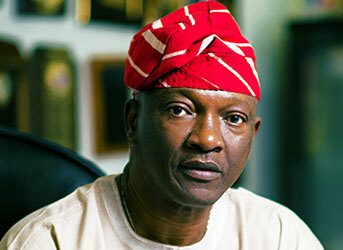 Agbaje said that he was confident he would win the elections in Lagos, if he picked the PDP guber ticket to run.